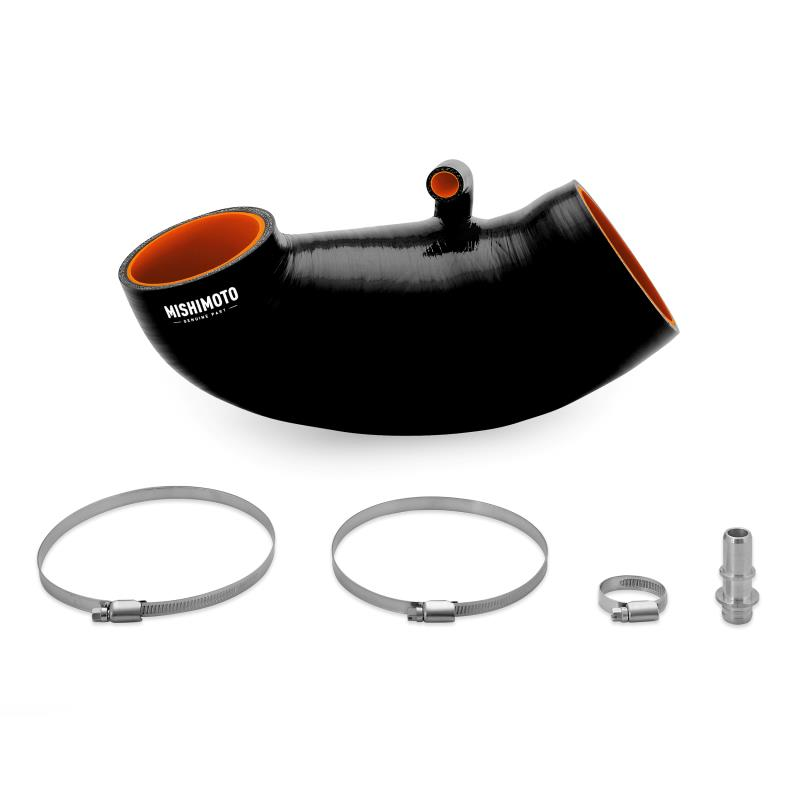 Description: The Mishimoto 2016+ Chevy Camaro SS Silicone Induction Hose is precision engineered as a bolt-on upgrade in both performance and style. The hose is crafted with five layers of silicone and incorporates molded steel rings for added reinforcement and resistance to collapsing under hard throttle. It is equipped with CNC fittings for perfect integration with the stock CCV system. This 2016+ Camaro SS kit eliminates the stock sound symposer connection for a cleaner appearance under the hood. Mishimoto's 2016+ Camaro SS Silicone Induction Hose is manufactured using materials that are more durable than stock, providing longevity and reliability for your SS. To promote improved airflow, this hose has been designed with a smooth internal surface, unlike the accordion-style bends in the stock hose. The Mishimoto 2016+ Camaro SS Silicone Induction Hose Kit is available in black, blue, or red to match your styling preference. This kit, like our entire line of Camaro performance parts, includes the signature Mishimoto Lifetime Warranty.